We introduce you to our Leadership. Valley Ministries depends on its ordained and lay staff as well as its many, many volunteers to carry out our ministry.The list below is not complete as their are many who serve faithfully in the ministry here. Too many to list here. If you want to find more about the ministries here at Valley you can look to the ministry page HERE . If you want to inquire about serving in a leadership position or ministry your interested in being involved with here at Valley Ministries, please contact Rev Terri on the Contact page or call 209-810-9500. Click on the bars to read about the leaders. Rev. Terri Miller, the founding pastor of Valley Ministries, MCC, became a licensed minister with UFMCC in 1996. 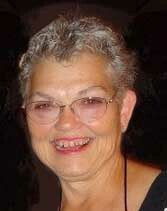 She served on the ministerial staff of River City, MCC in Sacramento, CA from 1995 – 1999. She then followed the call that God had placed on her life to begin a new work in Stockton, CA. Rev. Terri is a dedicated and faithful leader who demonstrates the love of God to those whom she meets, on a daily basis. Rev. Terri believed she was called to minister at a very young age, but struggled with a conflict between her spirituality and her sexuality. She found herself in spiritual turmoil, believing she was truly called by God, but also believing the lies told in the name of God, that you can’t be “gay” and be a Christian, or even that God couldn’t possibly love you if you were a homosexual. The hopelessness in her life led to a downward spiral of alcohol and drug dependencies. Her life was changed forever when a friend took her to visit River City MCC in Sacramento, CA. Here she realized that God’s love is unconditional… that the same God who called her by name as a little girl was still calling her name. “It felt like the first hug from an old friend, when you’ve been away for a long time. I knew I had come home,” said Rev. Terri of her new found love and acceptance. Free to be who God made her, Rev. Terri began to pursue the path that she had put on the shelf so long ago. In 1997 she met her life time love and partner, Marilyn Sweigart, and they entered into a Holy Union together on October 2, 1998. 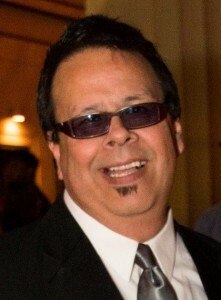 Louis Ramirez was raised in northern San Diego county town called Solana Beach, first attending the local Roman Catholic Church until at age 6, his mother converted and began attending the local Apostolic Assemblies of Jesus Christ church (a Latino Pentecostal denomination where eventually two uncles were on the Board of Directors, and his dad was once the National Men’s President). When he started attending a UPC (United Pentecostal Churches, a predominantly Caucasian Pentecostal denomination) Bible College in Stockton, his family moved to Stockton and began attending the local UPC church. He attended/ministered in Apostolic/Pentecostal or Charismatic churches for about 25 years, then after one powerful, life-transforming “never-look-back” night with God , started confidently attending/ministering in primarily LGBT churches, both MCC and independent. Louis began his ministry playing piano as a pre-teen at his humble Latino church. He went on to attend a Bible College in Stockton, CA, graduating with a degree in Church Music. He formed a college mixed-quartet that traveled and ministered for three years at conferences, camp meetings and churches across the US, and recording 2 albums of their original compositions. In 1999, while Artist-In-Residence in MCC San Diego, he founded a male trio that traveled and ministered throughout the US several weekends a month at MCC and independent churches for seven years. They also recorded 2 projects of original compositions. Louis has been a music director at four Pentecostal/Charismatic churches, and six inclusive/progressive churches (including five MCC churches). He has been a worship leader for several MCC international conferences, and for a couple of TEN (The Evangelical Network) conferences. Aside from his groups’ four recording projects, he has also produced/arranged/contributed to about six other recording projects. He strongly attributes his love for ministry and worship to his late musical father, and longs that at the end of his life, he is (like his father was) remembered for having been faithful in the highest calling a worshipper of God.